Why Did Facebook Scrub Austin Bomber's Page? Why Did Facebook Scrub Austin Bomber’s Page? The media set up the Austin Bomber, Mark Conditt as a CONSERVATIVE. The spin is in. I’ve already written on how Hollyweird TMZ characterized Mark Conditt as a home schooled Christian nut sack. The Austin Bomber was said to have been “home schooled by his mom”, and the wanted to do a “mission trip”. So Conditt was home schooled and was planning a mission trip? That narrative has Conservative written all over it, doesn’t it? And you can bet Leftists are digging through Conditt’s life looking for anything associated with the Confederate flag or neo-Nazi symbolism. God forbid the man took a picture by a Confederate monument. Conditt has already been painted as a racist, the press labeling the random bombings as potential hate crimes. They were quick to point out the dead people killed by the bombs as possible truth of hatred of blacks. They profiled a young black man who was tragically killed, all to set the stage for what we are now seeing. 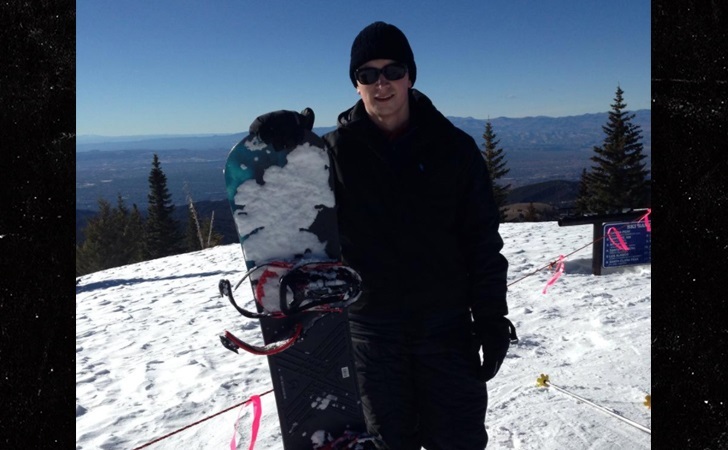 And what about that picture of Conditt, surrounding by white snow with his snowboard. You just can’t get any more “I hate black people with my white privilege” than a white guy skiing. Now NBC chimed in. They began the autopsy of Conditt’s life. And you can bet within 24-hours they will know more information about Conditt, than they know of Obama. And the Conditt narrative will be just as fake as Barack Obama’s. NBC News could not immediately confirm if the blog belonged to the suspect, but public records show only one Mark Conditt in Pflugerville. Conditt was raised Conservative. Then he went to college, and they converted him to Zombieism (Progressivism), which radicalized him. From 2012, when Conditt was about 18 years old until now is all it took for Conditt to turn evil Leftist. Don’t think NBC and other Leftists will be able to connect the dots. That would require logic and reasoning capabilities. Two Leftist rags claiming that Conditt was a vile Conservative. If Mark Anthony Conditt had been a conservative or a right-winger, the powers that be would be blaring it. Instead, all info about him has been redacted. Do you think Zuckerberg would’ve scrubbed Conditt’s FB page clean if he was a Trumper? 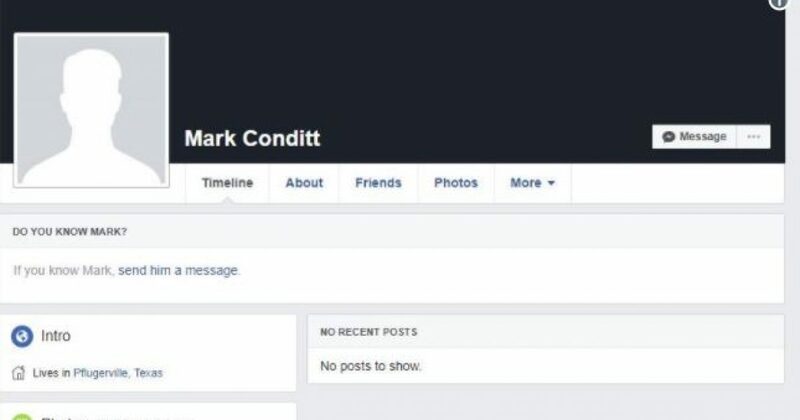 If Conditt were a Trump fan, his FB page would be all over the media with Conditt in a MAGA hat. However, Facebook scrubbed his profile. Part of me understands, since thanks to Conditt blowing himself up, he won’t be needing the page. Nevertheless, many people die, and Facebook doesn’t scrub their pages within a day. What information about Conditt do they now NOT want to get out? You can bet that the information is not flattering to Leftists, or they would leave his page up for media pundits to attack. This led me to a bigger question. How does the Left handle bombers in the aftermath of their suicide bombing? Put another way, when a person like Conditt shoots up a school, for example, the Left want to ban guns. But if the Left ban BOMBERS, won’t they be discriminating against their base? MUSLIM TERRORISTS?! Surely you see the quandary, and perhaps why Facebook acted so quickly.